Having your kitchen clean is essential. It is not only much easier for you to cook and bake, but it keeps you and your family healthy and safe as well. That last night’s lasagna splashes on the oven, the grime in your microwave, and your dirty wooden cutting board will only spread bacteria if not cleaned properly. It takes effort and using different chemicals to remove spots and keep everything clean. However, there are ways for you to easily keep your kitchen clean without spending money on non-eco-friendly cleaning products. The benefits of baking soda are enormous. We use it for many different purposes such as baking cakes, whitening our teeth, and calming indigestion. However, except for its cooking and health benefits, this substance can also be very helpful in cleaning. 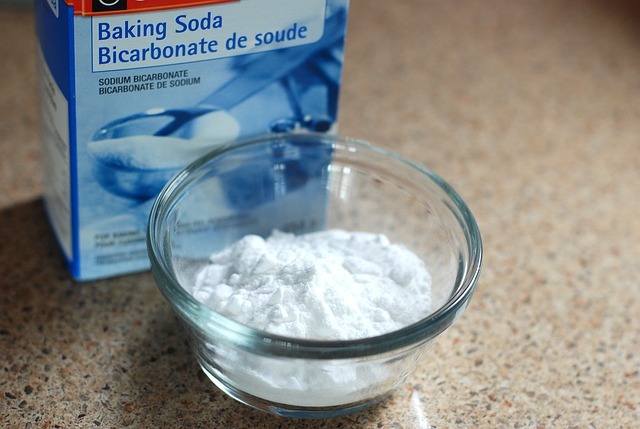 Replacing usual cleaners with baking soda is one of the best kitchen cleaning tips one can give. It is not only eco-friendly but very cheap and efficient as well. Change your dangerous chemicals with this magical cleaner to clean your kitchen perfectly and make it glow. 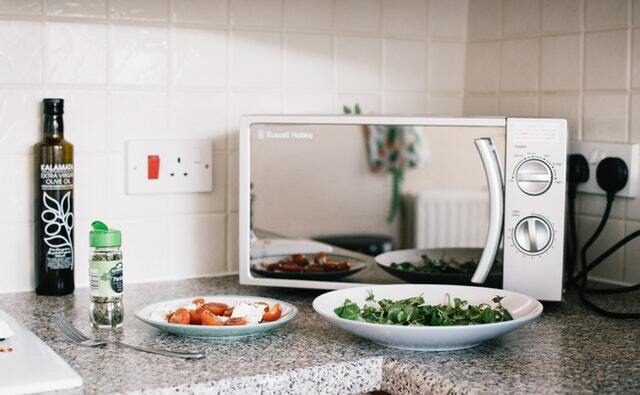 One of the quickest ways to clean a dirty microwave oven is by using wet paper towels. Place them inside and let it run on high for about 5 minutes. Thanks to the heat, there will be steam coming from the wet towels which will soften the grime. Let them cool down and then use them to wipe your microwave’s interior. That way it will be much easier to remove the grease. Another on the list of our kitchen cleaning tips is to combine lemon and salt to quickly clean wooden cutting boards. Due to their porous surface, bacteria can easily thrive. Therefore, you have to keep it clean at all times. All you need is to use lemon and salt to avoid harsh cleaning methods. Have a lemon cut on two halves. Then, take the first half and squeeze some lemon juice on your board. Use the lemon to spread it around. Once you do this, put some salt and some more lemon juice from the second half. Clean it with paper towels. 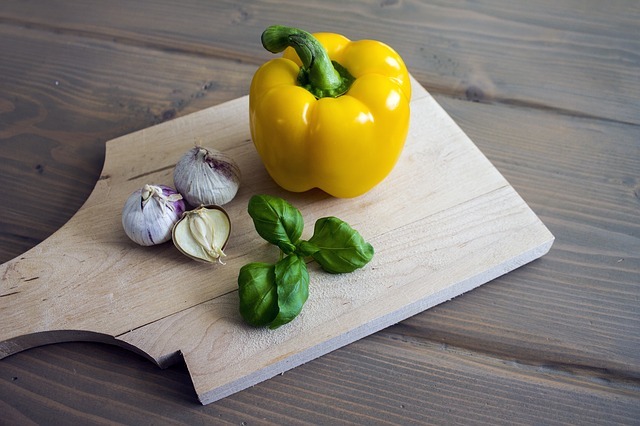 This process will not only help you clean your wooden cutting board easily, but also disinfect and deodorise it. Water deposits appear due to a large quantity of minerals in the water. They can be really irritating because sometimes it is very difficult to get rid of. However, thanks to our kitchen cleaning tips you will learn how to remove them easily. Have a towel soaked with white distilled vinegar. Then, put it on the hard water stains and let it sit for an hour. After that, use a sponge to clean around and rinse. It is as simple as that. Cleaning our bins is not something we do with pleasure. Most of us clean them only when they are too dirty. 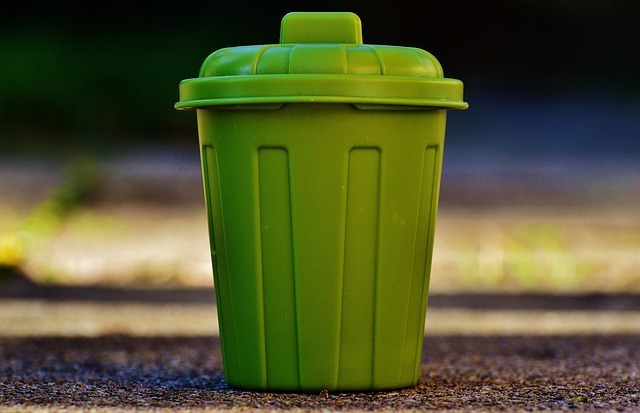 To save you from doing it often, put two black bags in your trash bin. 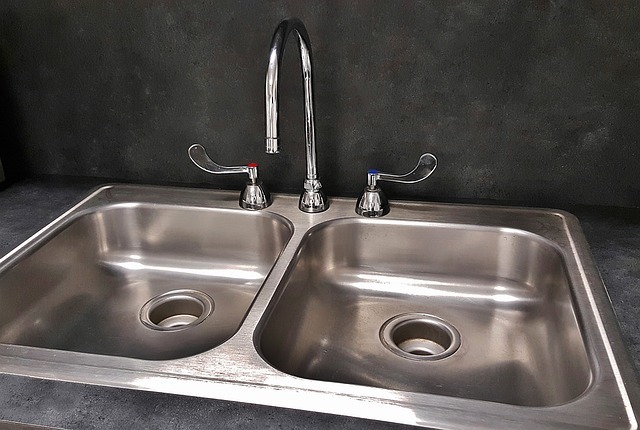 The first one will serve as a protective barrier for the leaks and spills of the second one. You will change the second one when necessary. Food, who doesn’t love eating it? We all enjoy cooking our favourite meals. However, what we don’t want to see is a dirty kitchen. Keeping your kitchen clean is a must. Not because it looks nicer when everything glows, but because it keeps us healthy and safe. 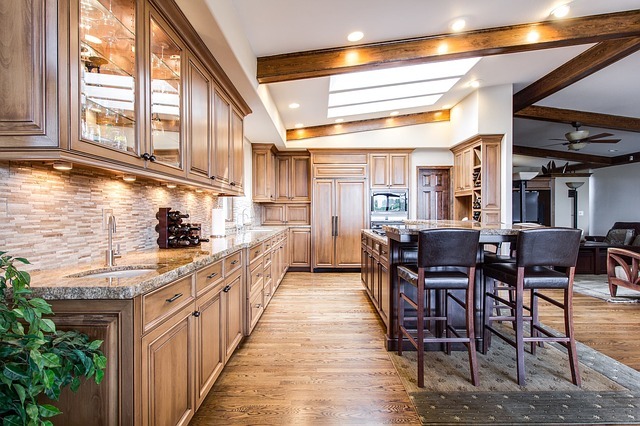 Avoid using harmful cleaning products in your kitchen. Follow these kitchen cleaning hacks, and make your life easier.